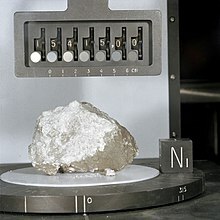 The Genesis Rock is a sample of Moon rock retrieved by Apollo 15 astronauts James Irwin and David Scott in 1971 during the second lunar EVA, at Spur crater. 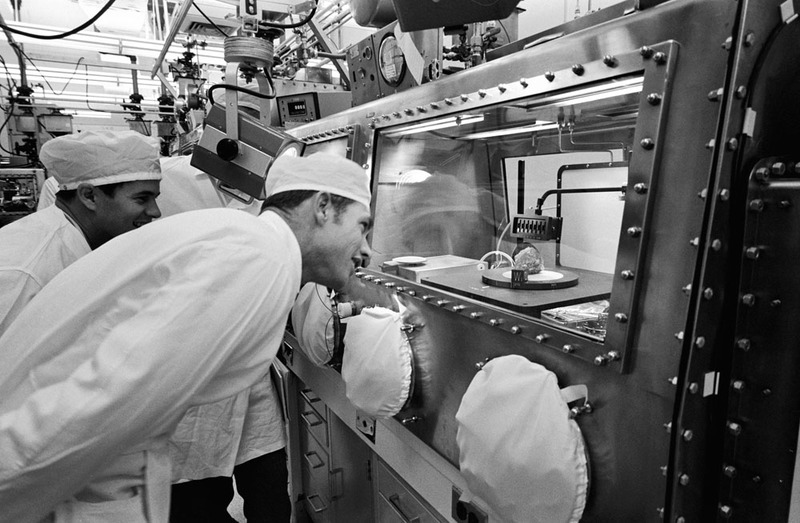 It is currently stored at the Lunar Sample Laboratory Facility in Houston, Texas. It is sample number 15415. It was originally thought they had found a piece of the Moon's primordial crust, but later analysis initially showed that the rock was only 4.1 ± 0.1 billion years old, which is younger than the Moon itself; and was formed after the Moon's crust solidified. It is still an extremely old sample, formed during the Pre-Nectarian period of the Moon's history. Dating of pyroxenes from other lunar anorthosite samples gave a samarium–neodymium age of crystallization of 4.46 billion years.